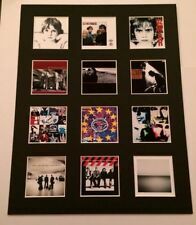 U2 LITHOGRAPH POSTER PRIDE ANTON CORBIJN 69 cms.sq. Great art to frame. U2 PRIDE, LITHO. ORIG PHOTOGRAPHY BY ANTON CORBIJN. The Joshua Tree – Photographs by The Edge. An 84-page hardback book of personal never-before seen photography by The Edge, taken during the original Mojave Desert Joshua Tree shoot, 1986 and a folio of 8 rare 12” Anton Corbijn colour prints. RARE ORIGINAL U2 WEMBLEY STADIUM 1987 PROMO POSTER 24"X17.5"
For sale here is a U2 Zooropa sticker. In good condition. Genuine original U2 'FLY' sunglasses, used made in Ireland. Rare collectors item! Have been worn at countless U2 concerts, show some signs of wear, light scratches etc but still nice collectors piece! They work in many different areas such as helping people to find work, gain access to leisure services and providing housing support. U2 Songs of Experience Double Vinyl. U2 Zooropa UK Tour 1993 Tour Programme. Condition is Very Good. U2's collaboration with other artists including Pavarotti to form 'Passengers'. With lots of great pics, with the band looking incredibly young. In very good condition. U2's collaboration with Frank Sinatra. Rare Vintage U2 1984 ‘The Unforgettable Fire’ T SHIRT. Rare Vintage U2 1984 ‘The Unforgettable Fire’ T SHIRT. OFFICIAL ACME MERCHANDISE. The print on this 35 year old white t shirt has faded and the colours have run a bit to give the shirt a unique slightly tie dyed look! See photos. There are no holes or rips on the shirt. The size is a MEDIUM and measures 18” pit to pit and 25” in length. Black U2 Innocence Experience Tour Hooded Top. Good condition. U2 Vinyl X4. Inc Joshua Tree, Rattle And Hum And Boy. Condition is Very Good. Dispatched with Royal Mail 2nd Class. Am open to offers, just ask! 4 x cds: Charity cd promo Across The Bridge of Hope (U2 contribution); Charity cd promo Artists Against Aids Worldwide What's going on (U2 contribution); Staring at the Sun (sealed), Discotheque. U2 Inflatable Lemon. Rare. Collectable. Condition is Acceptable. Dispatched with Royal Mail 2nd Class. Sadly due to a split on the mouthpiece it's no longer inflatable. But maybe it's repearable? Hopefully still a collectors item. U2 Joshua Tree Ticket Stub - Cardiff Arms Park. Saturday 25th July 1987, row 34 block m. Ticket was used but is in excellent condition, having been pressed in your program for past 20 years!! Dispatched with Royal Mail 2nd Class. They work in many different areas such as helping people to find work, gain access to leisure services and providing housing support. U2 Achtung Baby Songbook PB 1988. Condition is Good. Dispatched with Royal Mail 1st Class Large Letter. U2's collaboration with other artists to form 'Passengers'. U2 ZIPPO Cigarette Lighter 2005. Condition is Good. Dispatched with Royal Mail 1st Class. U2 Zooropa 1993 Official Programme. 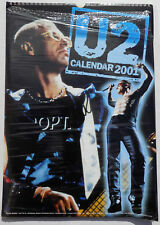 U2 Zooropa 1993 Official Programme. . Condition is Very Good. Dispatched with Royal Mail 1st Class Large Letter. Am also selling their novelty condoms from this gig too. 4 U2 Play 4 Pack Exclusive To Ireland Some Staining. Not A Record Guy So Ask ? U2 The Joshua Tree Tour Official programme 1987, including envelope,. Condition is Good. Dispatched with Royal Mail 2nd Class. THE HIGHEST QUALITY DECALS HAVE BEEN USED. PAINTWORK FINISHED IN GLOSS GREEN. U2 ‎– The Joshua Tree Singles: Remastered & Live Label: Island Records ‎– U2COM12 Format: 4 × Vinyl, 10", 45 RPM, Limited Edition, Remastered Released: Dec 2017 From a Pet & Smoke Free Home. Willing to consider any offers / Buy it now, etc. Please check out my other listings - Always happy to combine postage. Postage to non-mainland UK may incur additional costs at the buyers expense. Collection Welcome From Epsom Area (KT19). Thanks For Looking. 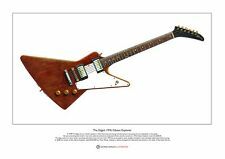 SIGNED REPRODUCTION PRINT. PHOTO SIZE 11.2"x 8.3". A great way to get a perfect copy of your favourite sportsman,artist ect. and be the envy of all your freinds. This is superb quality. or just pin up on wall. Vintage, U2 One "Smell The Flowers" t-shirt, XL. Purchased in the early 1990s a year or two after the release of Achtung Baby. The front has the same artwork as the single and the back has various translations of the song title. Generally in good condition, with the black text on the rear very slightly faded. Size: Extra Large, width (under arm) 22 inches / 57 cm, height 29 inches / 75 cm. Smoke and pet free home. Please ask any questions before bidding. Thank you for looking. 11 O'CLOCK,TICK,TOCK. THIS IS AN UNNUMBERED PROOF OF THE SINGLES EDITION OF 250 - LONG OUT OF PRINT. As with all mixtapes they are mixed by DJS and includes sound effects are remixed., but if you have listened to mixtapes before I am sure you know sound effects that are in a mixtape. 10 - Imaloneimsorrycinthia. U2 Red Zone Collectable Ticket Collectable Pass From Innocence / Experience Tours. Pass From 23rd October 2018 Promo Wrist Band. Ticket from 2nd November 2015. Bought at the first concert I ever went to with my friends, U2 on their Joshua Tree tour in 1987, live at Birmingham NEC. It's been sitting in a box for many, many years, hence the good condition. Now I'm having a necessary clear-out. 12" VINYL maxi Single from 1987.a UK import. Very old picture disc that was in storage for decades. No writing on it for any information. Clean and seems like it was never used or taken out of the plastic.